Non-Twins: Why Brett Favre Needs To Return | That's Twins Baseball. A Minnesota Twins Blog. The hopes of many rest upon the old shoulders of Brett Favre. He can take the Vikings to the Super Bowl and more importantly, fix my wall. During the NFC Championship game last season the Vikings looked poised to head to the Super Bowl but when Favre threw an interception late in the game to Tracy Porter, all was lost. 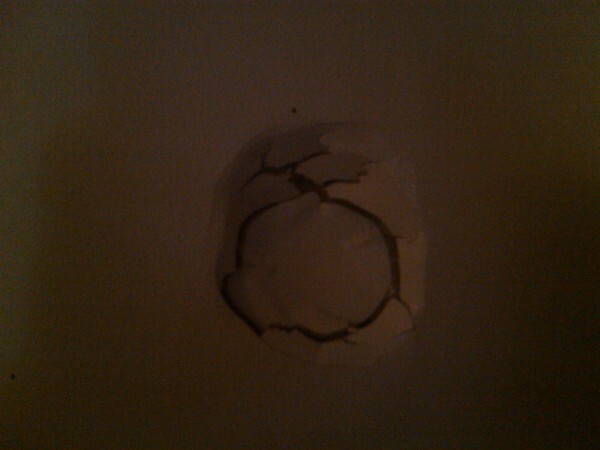 I was so pissed that I went up to my wall and headbutted it. Because of Favre I now have a large hole in my wall and have vowed not to fix it until the Vikings make it to the Super Bowl. Brett, the value of my home rests upon your geriatric shoulders. I used my head, unlike Favre.